I traced a doodle of a robot I drew, using Vector Brush. I end up with a layer containing many curves. I would like to be able what appear to be enclosed shapes, but are, of course, individual curve segments. 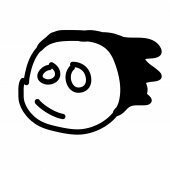 It was suggested I use "Expand Stroke" then "Geometry Add" followed by "Geometry Divide"
This left me with a completely black silhouette of my drawing. I am not sure what the expected workflow for doing something like this? I am very new to how Affinity Design approaches this! I was going to attach the afdesign file but it is 35MB so have appended a link. Hi again. I have been using this technique to good effect, but I have not figured out how to make some fully enclosed areas transparent. Once this process is over this doesn’t seem possible? 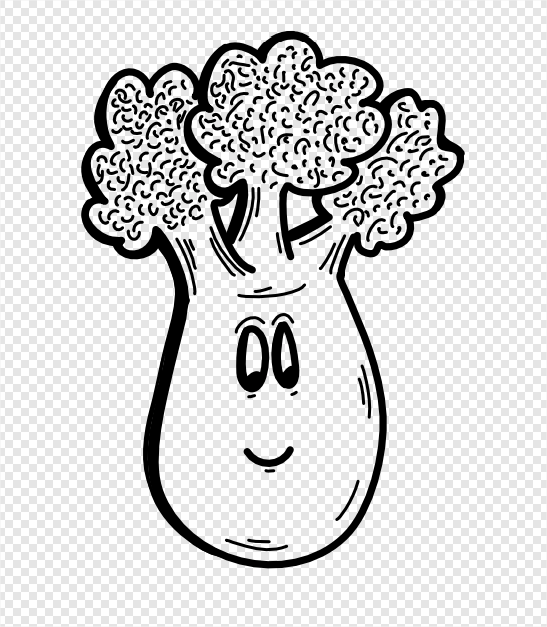 In the attached example there are two areas in the broccoli head that should be transparent. And for your shapes, choose "none" for Fill. I cannot reproduce the problem here. 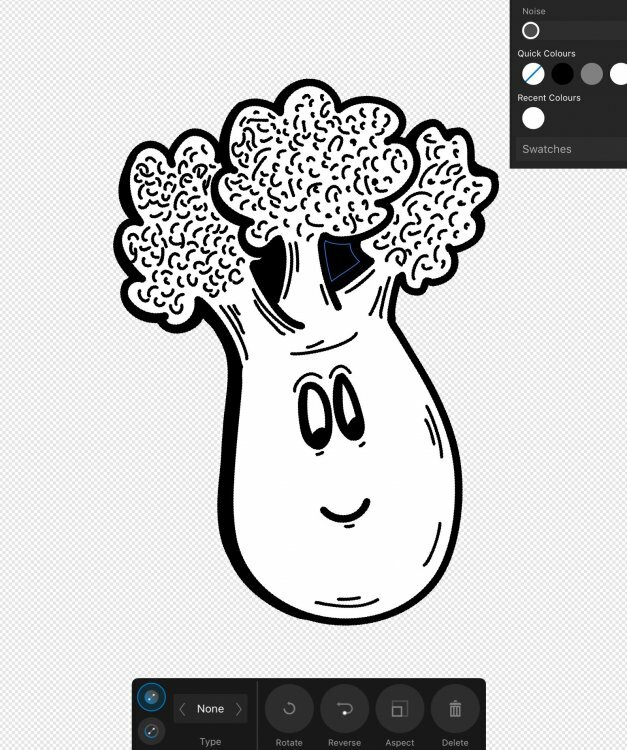 When I opened the file ‘broccoli.afdesign’ in Affinity Designer for iPad, it had a white background. 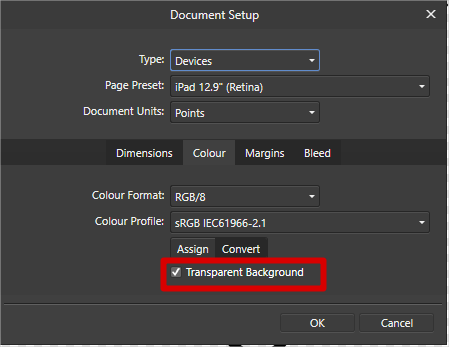 Choosing ‘Canvas > Transparent Canvas’ from the Document menu turned all of the background transparent. You can Subtract the 2 shapes. See my comment above, the file wasn't in the correct state. (Apologies). Thanks, guys. I did actually see Christopher’s follow-up post, but I somehow failed to appreciate its significance! Trying Gabe’s suggestion of simply selecting the ‘gap’ shapes and subtracting them from the large black shape, I found that the layers jumped around and I didn’t get the desired result. I had to move the two small shapes in the layer stack so that they were sitting directly on top of the larger shape, and the subtraction then worked as expected. Yes, I noticed you had them grouped in your video clip, but it wasn’t immediately obvious why you’d done that. 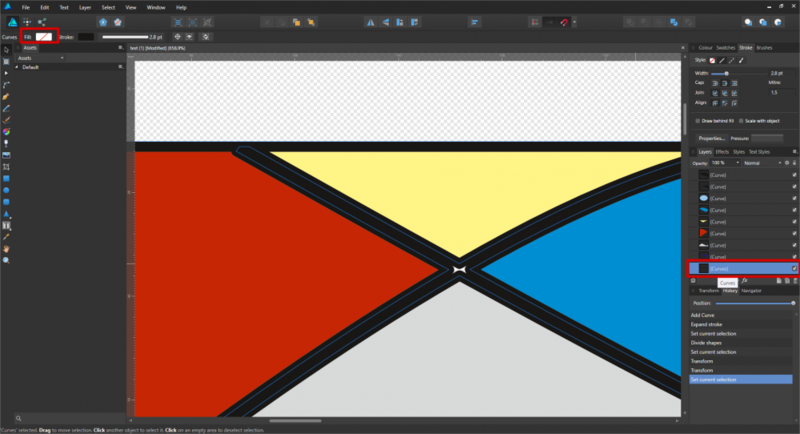 I have drawn (AD) a rectangle, a curve with pen tool and a elipse to devide the rectangle in different areas like a puzzle. Is there a simple way to give those 7 areas another color? If i missed a simular topic, sorry, please give me the link. Here in Belgium it's 2 AM now so i'm going to bed. Good night and have a nice weekend. Thanks in advance! @Dédé, you expand both the ellipse and the curve, add all the 3 layers together and then Divide. @GabrielM, thank you for your reply. I already got this far. But i probably did something wrong. The strokes hav a gap. If you attach the afdesign file, we can have a look. Hi again, i hope you can open this one. What a joke :-) Thanks for your time GabrielM !! I had never used expand stroke before and it may seem ordinary but it helps me a lot. GabrielM, beat me to it. I saw that right away, but was wondering how to get the outlines a little cleaner. Attached is my alteration, which allowed the previously unfilled curve to be hidden. @gdenby, thank you for your post. I promessed a familymember that i will draw a helicopter which he can print on his placemats so kids can color it in. And they need an example off course. I was wondering if i have to draw everything seperathly and give it a fill with the correct colors because then i have borders which are on top of his neighbour. Or can i just use the pen-tool, add a few strokes and fill. I attache the file. Thanks. 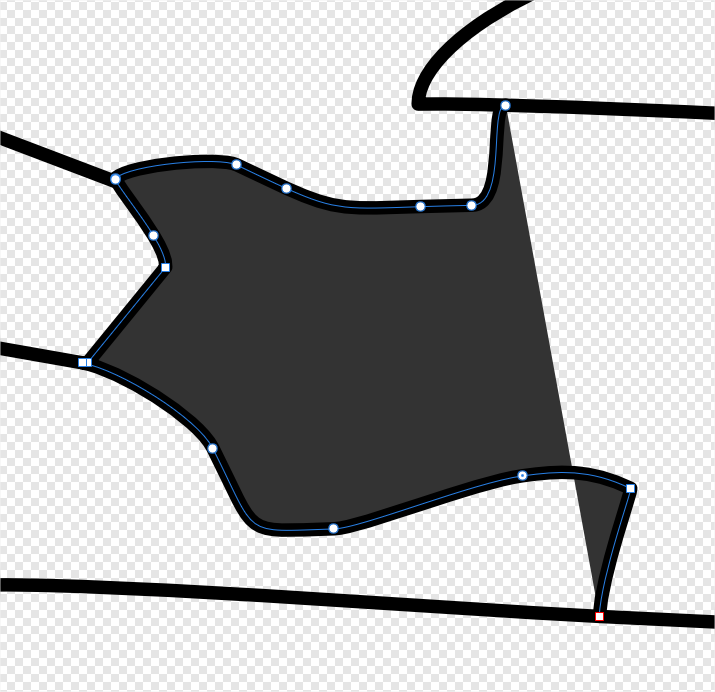 You can always draw them separately, BUT if the curve is not closed, the fill will create a straight line between the start and the end node automatically. Exactly like in this part of your helicopter. What GabrielM is showing in 1 object is present in many of the shapes you have made in the helicopter. The shape is unclosed, and a fill put in it will span the 2 end nodes. For the top of the rotor, the "motorlijn", select both the R and L parts. Activate the node tool, and 1st "join curves," and then "close curves." You will see that the nodes do not quite line up w. the neighboring parts. If you have snapping turned on, you should be able to move the nodes, and they will be highlighted when they are on the adjoining lines. It is fairly easy to draw and complete closed shapes that fit with the other shapes around them when snapping is turned on. When the shapes are closed, any fill will only be inside them. Reviewing the parts of your file (which is quite nice), I think you will have to do a bit of work defining the figure in the door, and the door itself. Look at it this way. The shapes are not made up by lines, as if drawn by a pen or pencil, and then filled in. They are made by areas, as if painted, and are fills from the start. Getting the edges of the fills refined is the next step.